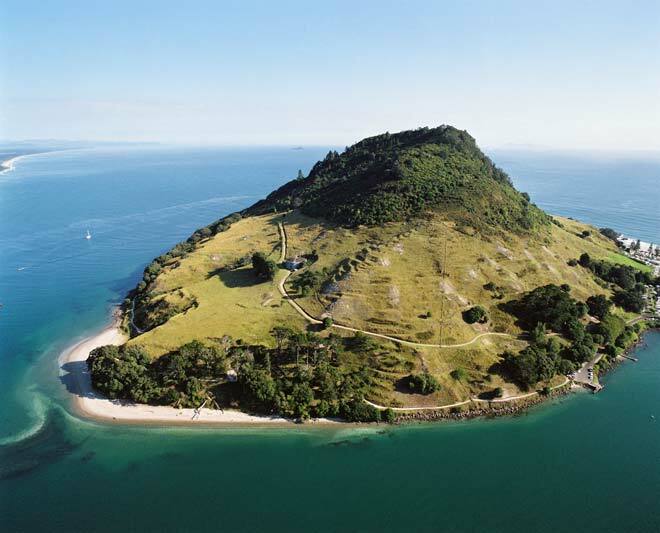 Mauao is the sacred mountain at the entrance to Tauranga Harbour. Its name, meaning ‘caught in the light of the day’, comes from the legend in which Mauao was once a nameless mountain, spurned in love by the beautiful mountain Pūwhenua. One night he begged the fairy-like creatures of the forest to drag him to the ocean and end his misery. But the creatures fled as the morning sun’s rays struck, and he was transfixed on the spot.